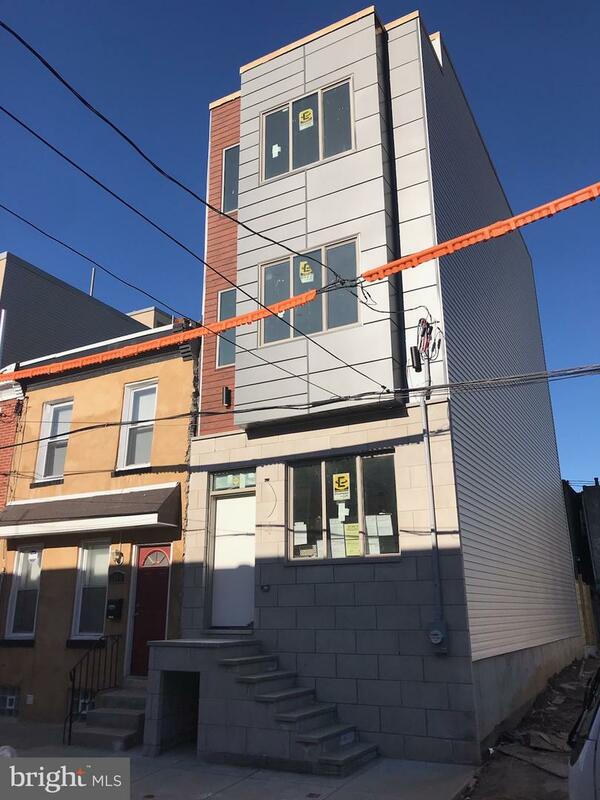 Large and spacious brand New Construction! Special attention is being given to each and every detail in the building of this state-of-the-art project. 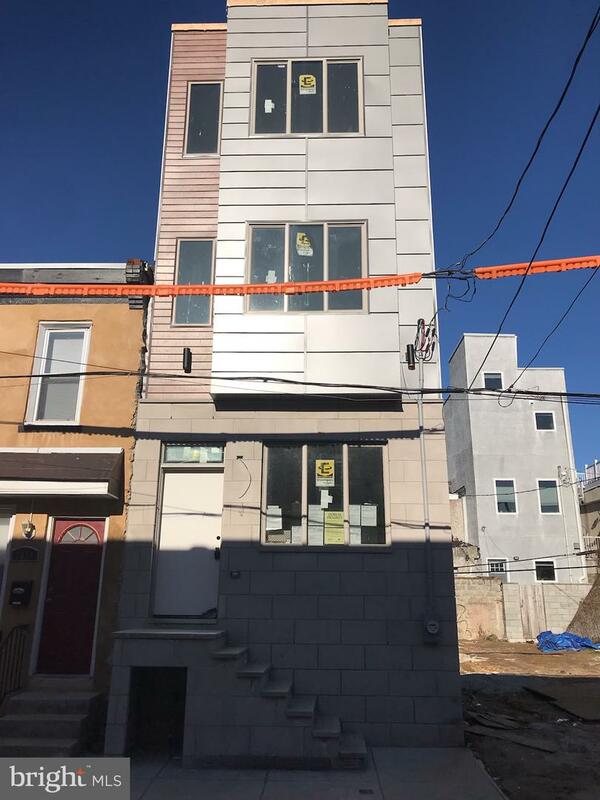 Located in the Point Breeze section of South Philadelphia, this home is surrounded by numerous new constructions and recent rehab projects. This gorgeous home has 4 bedrooms with 3 custom bathrooms. The home boasts modern flooring, recessed lighting, low VOC paint throughout the house, smoke/carbon monoxide detectors, fire-sprinkler system, and is also cable ready. Enter the home to be greeted by a well-lit and spacious grand living room. Past the living room you enter into an open eat-in kitchen and dining area. The beautifully appointed kitchen is outfitted with soft-close cabinets, Quartz counter-tops, Breakfast bar with pendant lighting, SS appliance package (dishwasher, fridge, range, microwave), chef's facuet, and under cabinet lighting. From the kitchen via a glass sliding door find the entrance to the spacious concrete backyard. From the first floor, wide commercial grade Pine staircases (secured by custom railing) lead you up to the 2nd level of the house. Here the home presents two amazing sunlit rooms, a huge bathroom with a custom vanity set & the laundry room. Following the staircase to the 3rd level you enter to your own private oasis. The 3rd floor has the master suite with a bedroom, custom spa-like bathroom, and a spacious walk-thru closet! The master bath boasts custom tile-work, custom vanity set, and a designer rainfall shower. Take another step up the stairs to the pilot-house where you will find the access to you private rooftop deck. The home has electric and water lines on the rooftop, making it an ideal area to host parties and get-togethers. The finished basement offers a spacious bedroom or home office, custom full bathroom, and utility closet. Extra included bonuses: Large High Energy Efficient windows, Built-in (Bluetooth enabled) speakers in living room, wet bar, & master bedroom, energy efficient HVAC, organized closet shelving system, 1 year builders warranty, 10 year TAX ABATEMENT and much much more! MUST SEE! Some features might be altered as per builder's discretion. Property is still under construction. Home will be approximately 2300 sqft. Approximate delivery in May/June 2019.